Effortlessly blending East Coast sophistication and laid-back West Coast vibes, Tommy Hilfiger has created a signature all-American style. The Tommy Hilfiger sale offers great deals on polished preppy styles and vibrant urban designs. When Tommy Hilfiger's aspirational, sporty designs caught the eye of hip-hop stars in the 90s, they made the label a streetwear legend. And it's never stopped making bold, athletic designs that are equally at home in the gym or the street. Get athleisure bargains with the Tommy Hilfiger sale: try some sleek leggings or daring crop tops and pair with a chunky jacket and shimmering metallic trainers for a luxe urban look. 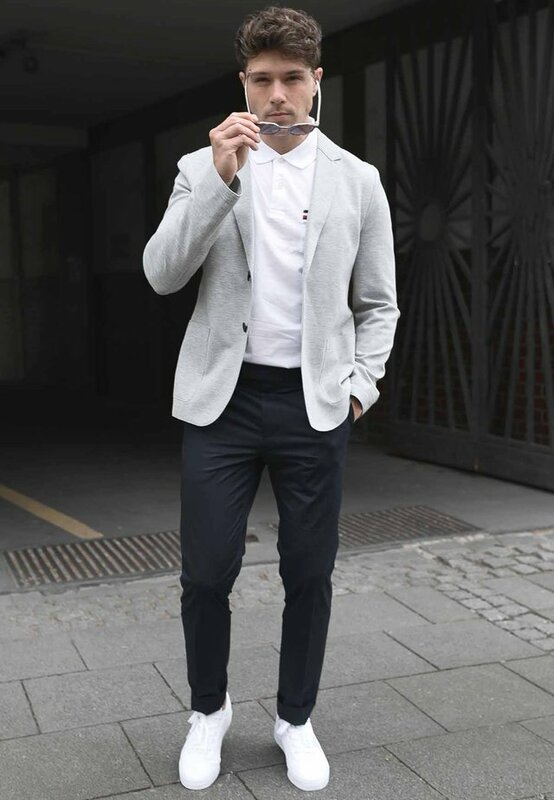 For the guys, pick up a classic polo to get on the preppy trend or nail the modern weekend look with some slim-fit joggers and a college-style hoodie. Build your workwear wardrobe with sophisticated, uptown styles at great prices in our Tommy Hilfiger outlet. Try a sharply tailored Tommy Hilfiger suit and layer with a classic belted trench coat for transitional weather and those unexpected (or expected) downpours. For women, Tommy Hilfiger's sophisticated coats with luxurious fabrics are the perfect complement to a simple blouse and printed pencil skirt. Wear the coat over your shoulders for a carefree look on warmer days.